Clear straw coloured with an elegant ample palate. Full & well balanced with a long palate, it offers aromas of pear and juicy apple. Excellent with foie gras or even roquefort, it can also be enjoyed as an aperitif or with desserts such as apple pie. Bottled at the Estate using sterilised stainless steel equipment. Clear straw coloured with an elegant ample palate. Full & well balanced with a long palate, it offers aromas of pear and juicy apple. 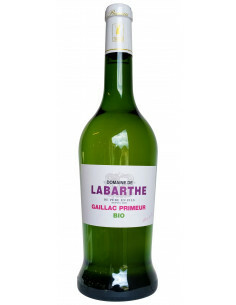 Excellent with foie gras or even roquefort, it can also be enjoyed as an aperitif or with desserts such as apple pie.